How to view iCloud photos? Why can’t I see my photos on iCloud? This guide will show you how to find your iCloud photos. With iCloud Photo Library enabled on your iPhone or iPad, pictures on your iDevice will be uploaded to iCloud and be accessible online. 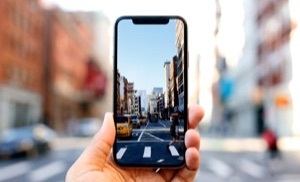 Some of you may ask why can’t I see photos on iCloud, and here in this post, we will show you how to view iCloud photos and the methods to fix the can’t see iCloud photos issue. For anyone who can’t see iCloud Photo Stream photos on iPhone, please refer to this How to Fix Photo Stream Not Working guide to get the solutions. Step 1. Make sure you’ve enabled iCloud Photo Library on your iPhone or iPad: Settings > Your Account > iCloud > Photos > Turn on iCloud Photo Library. Step 2. On your computer, go to icloud.com. Step 3. 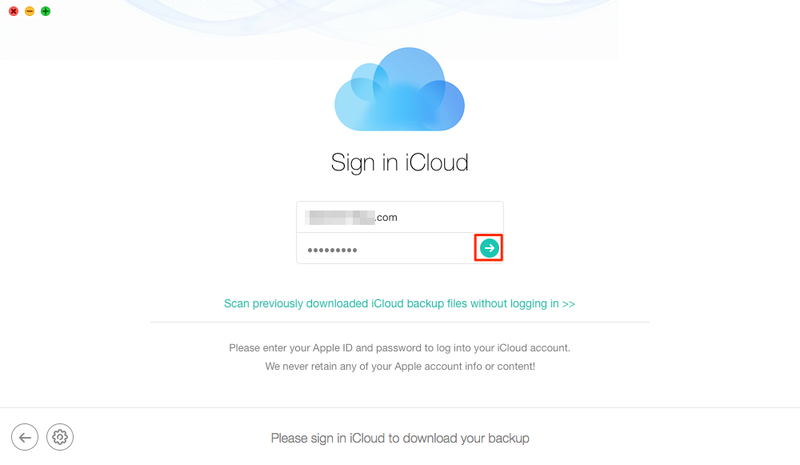 Log in with your iCloud account. Step 4. Choose Photos and you will see pictures that have been uploaded to iCloud. Generally, if you want to check photos in iCloud backup, you need to reset your iPhone entirely and restore your iPhone from that backup. In this way, all your existed iPhone data will be replaced by the backup data. 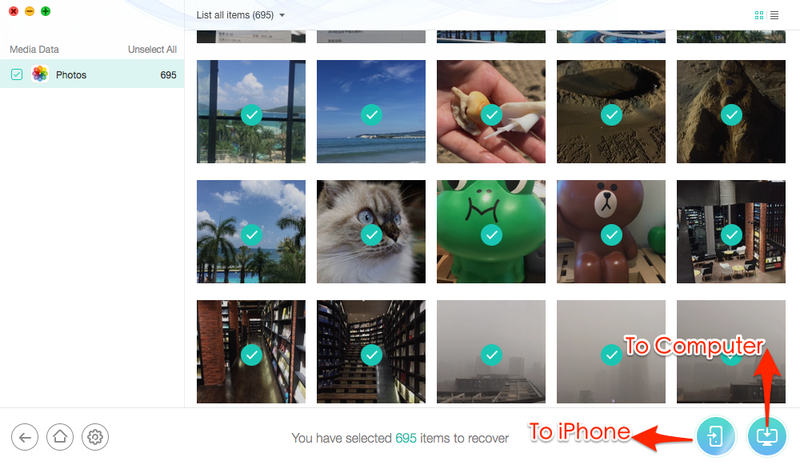 If you only want to check iCloud photos without restoring, PhoneRescue for iOS is the way to go. It’s one smart iPhone backup extractor and data recovery for iOS users. 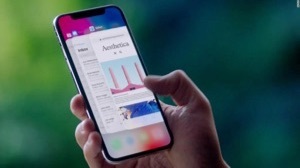 It allows you to view kinds of files in iCloud backup and download them to computer/device, including photos, messages, contacts, notes, call history, etc. Now get PhoneRescue (choose iOS Data Recovery) and follow the steps below to check your iCloud photos. Step 1. 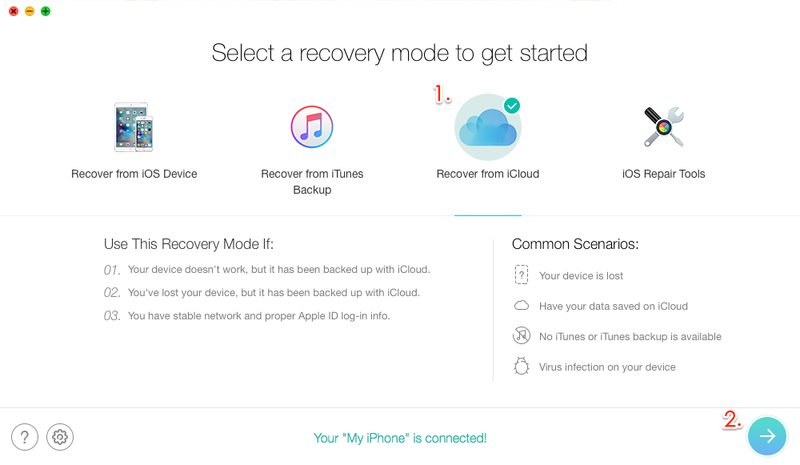 Select Recover from iCloud and click on arrow button. Plug in your iPhone if you want to download the photos to it. Step 3. 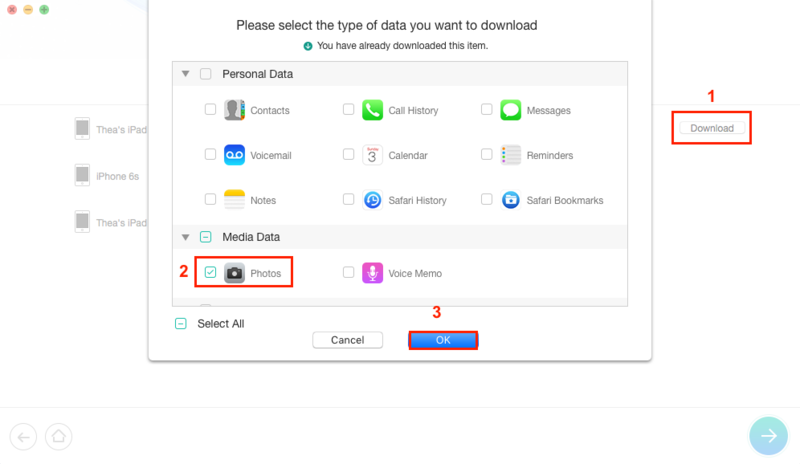 Select a backup and click on Download on the right, and then it will ask you to tick the types of data you want to Partially Download from your iCloud backup, tick Photos and click on OK. Step 4. After downloading photos from your iCloud backup, preview and select the pictures you need. 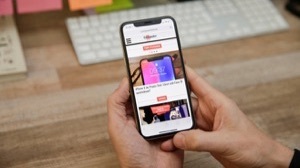 Click To Device button to get them to your iPhone, or click To Computer button to download them to your Mac or PC computer. 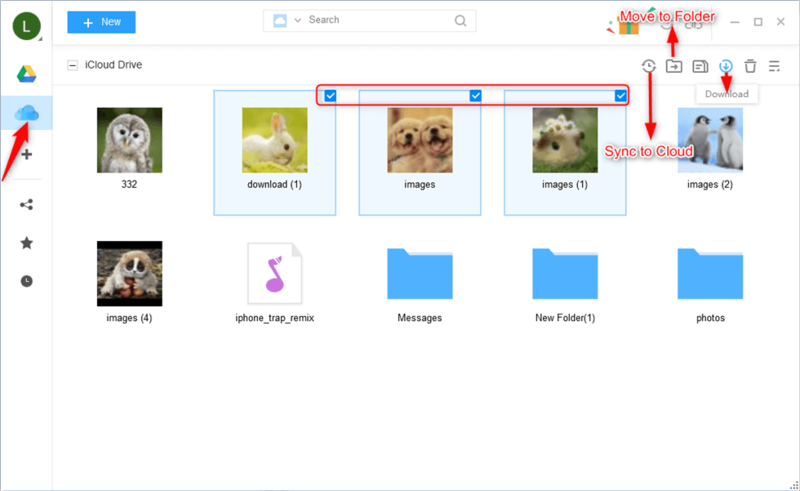 Supports finding and searching photos in iCloud within steps, and you can move photos to other cloud drives or download them to computer. 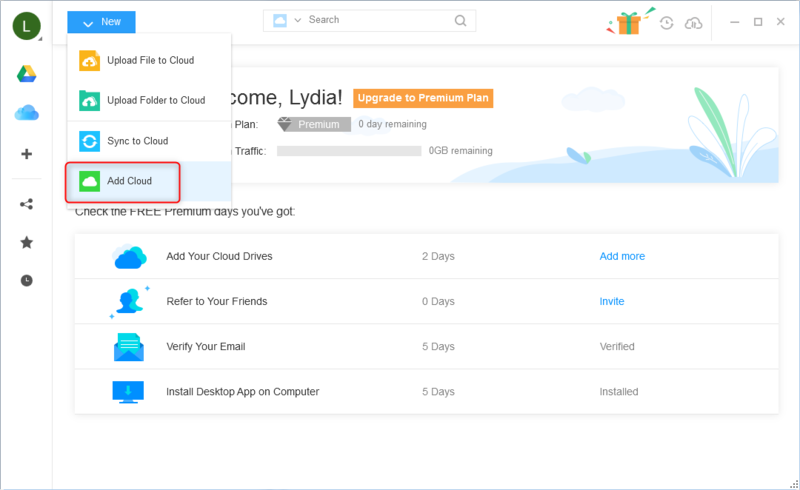 Supports managing multiple cloud drives like Dropbox, iCloud, OneDrive, Google Drive, pCloud, Box and more at one place with a single login. Allows users to share files or folders with other via email, Facebook, Google + and Twitter through a link, and you can encrypt your files. Now let’s free sign up AnyTrans for Cloud and then use it to view photos on iCloud easily. Step 1. On the homepage of AnyTrans for Cloud: click on Add New > Add Cloud. Then add your iCloud account to this tool. Step 2. Choose iCloud from the left sidebar > then you can view photos in iCloud. Also, you can sync, move, download and delete them as you like. Tip 1. Check your iCloud account. Make sure that you have logged in the correct Apple ID. On iPhone, go to Settings to have a check. On Mac, go to System Preferences > iCloud to check it. Tip 2. If the Apple ID is correct, you can sign out and then sign in your iCloud account to have a try. Tip 3. Make sure your Wi-Fi is on. 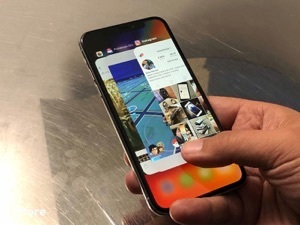 The iCloud photos sync requires good and stable Wi-Fi connection. Tip 4. The sync time it takes depending on the size of your collection, please be patient if you have a large collection. If you have any question about this guide or meet any problem when finding photos on iCloud, be free to contact us with sending an email or leaving a comment in comment sections. And we will reply to you as soon as possible! By the way, don’t forget to share this useful guide with others on Google Plus, Facebook so that it can helps more people to how to find photos on iCloud backup.